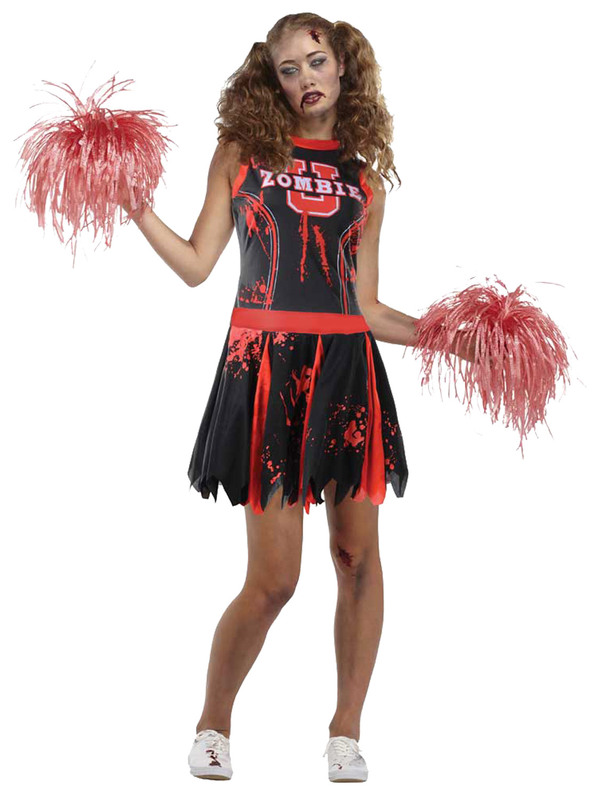 Transform yourself into a cheerleader from the high school of Horror this Halloween in this great costume? Ideal for a party! Includes a black dress with 'Zombie' printed on the chest, red blood spatted and pleated skirt to the front. Completing the costume is a set of two red pom poms!